What happens during Endodontic treatment (a root canal)? Let’s look at the basic steps for nonsurgical endodontic therapy. A local anesthetic will be given. A sheet of latex called the “rubber dam” (we’ve got non-latex ones too) will be placed around the tooth to isolate it, hence keeping it clean and dry during treatment. The Endodontist removes the inflammed or infected pulp, carefully cleans and shapes the canal system and then seals the prepared space. Once treatment is completed, you will be instructed to return to your dentist for permanent restoration. The treatment consists of three or four basic steps, but the number of visits will depend on your particular case. Some treatments take 2 visits but many are just a single visit. Occasionally 3 appointments are needed. In any case, it depends on the degree of infection/inflammation and degree of treatment difficulty. To us, it’s more important to do it the very best we can then to meet a specific time criteria. There are, of course, no guarantees. 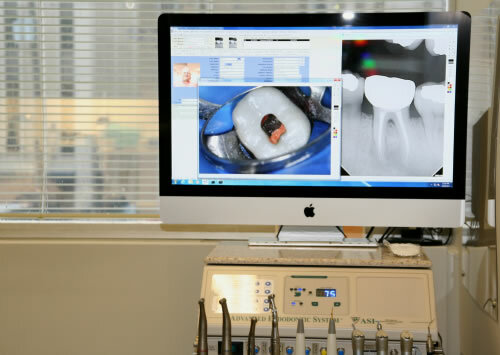 Root canal or endodontic therapy has a very high degree of success. Teeth which can be treated near ideal have a success rate over ninety percent! 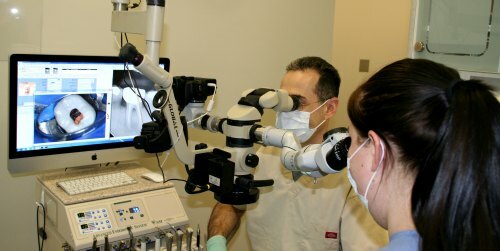 We will discuss with you the chances of success before any endodontic procedure to help you make an informed decision.